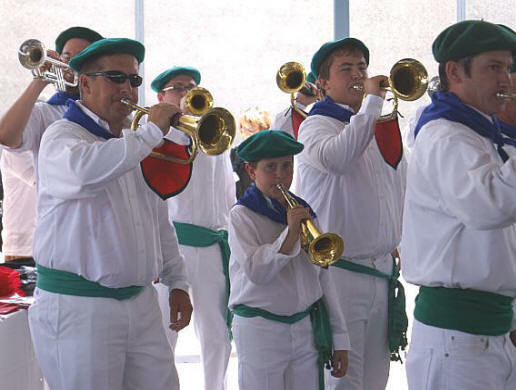 The Kilka tradition is derived from only a handful of Basque towns of the Iparralde (north side) of the Basque country. 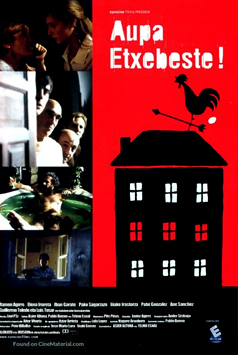 Essentially it is a military marching band with a unique twist. 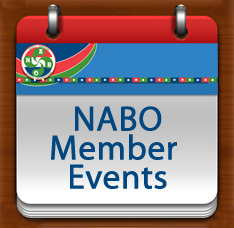 Reaching back to the Napoleonic era two centuries ago, young Basques were drafted into the French army. Their reputation as noted singers, dancers and musicians made them almost automatic picks for the military brass band in their respective units. 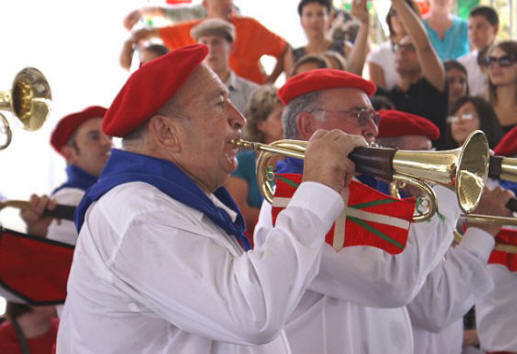 Upon completing their military service, many a young Basque had now learned to play the bugle or drums. 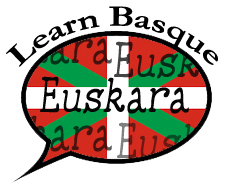 In typical Basque fashion, they took these talents and turned them into a Basque celebration of music. 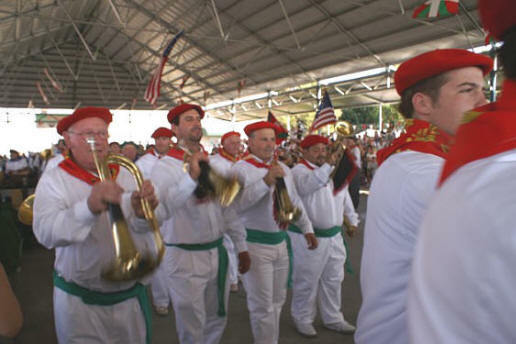 Basque-American immigrants re-created this tradition here in America, specially in California were most of the Basques derived from the Iparralde. 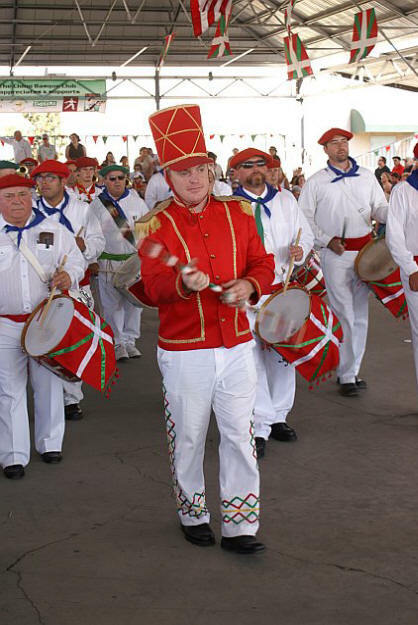 The Basque clubs of Chino, Kern County (Bakersfield), San Francisco and Rocklin each sponsor a klika that performs annually at their festivals.